I participated in an Influencer Activation on behalf of Mom Central Consulting for the Staten Island Yankees. I received tickets for the game as well as food vouchers to facilitate my review and a promotional item to thank me for my participation. 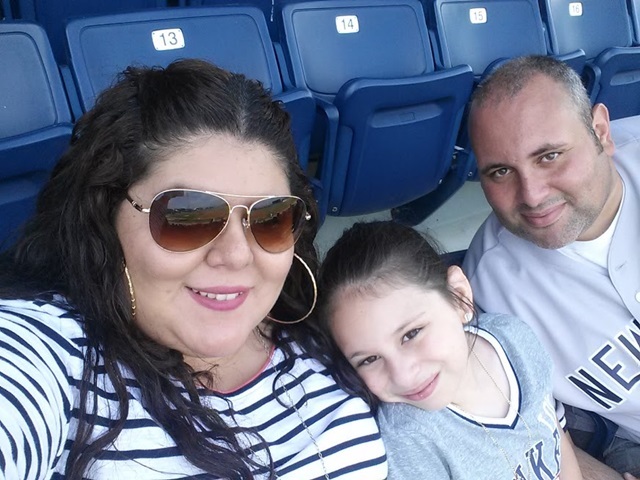 Last weekend my family and I had a fun-filled day cheering on the Staten Island Yankees. This was my first time in Staten Island, but not my first time attending a minor league baseball game. When we lived in Florida we attended a Tampa Yankees game also. As you can tell, we love baseball – and the Yankees. In fact, we had so much fun at that game that we couldn’t wait to go to the Richmond County Bank Ballpark and watch the SI Yanks play against the Jamestown Jammers! The Staten Island Yankees, or ‘Baby Bombers’ as they’re playfully nicknamed provide the perfect summer family activity for New York City and surrounding areas. It’s just a quick ferry ride away from the city and short commute from the outlying four boroughs and northern New Jersey. 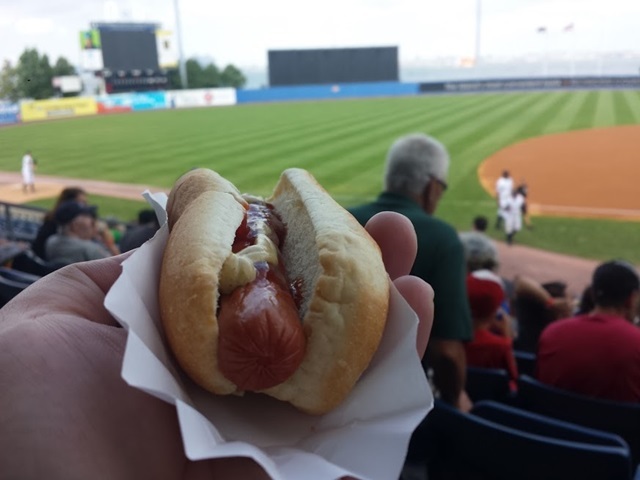 The stadium is recently revamped and offers an improved menu and overall ballpark experience. It has amazing waterfront views of the city and is small and intimate so there are no bad seats in the house. When we arrived there were inflatable bounce houses and games set up for the kids for a $1 a ticket. I’m not sure if it’s weekly setup, but the team hosts special events all throughout the summer such as post game fireworks and a Disney Pirates and Princesses costume night. My daughter had a fun time pitching and jumping around the bouncy houses before the game. 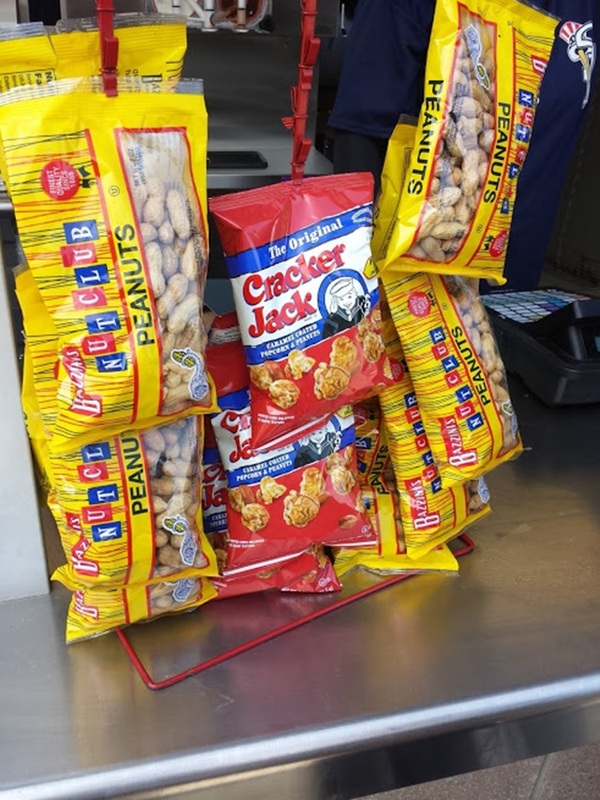 Once we found our seats we took advantage of their concession stands and grabbed a few snacks including hotdogs, cracker jacks, and even funnel cake! Yum. In between the innings the crowd was highly entertained with Scooter the ‘Holy Cow’ and the SI Yankees cheerleaders. The game ended with the Staten Island Yankees defeating the Jamestown Jammers 7 to 4. (Woo-hoo!) I thought that would be the highlight of the night, but actually it was watching my daughter run the bases after the game. After the crowds cleared, they let all the children out on the field and practice their best home run sprint, and then greeted with high-fives at home base from Scooter. So awesome. I should also mention that right outside the left field gate is the Postcards Memorial which honors the 274 Staten Island residents killed in the September 11 attacks. The outdoor structure looks like wings showcasing where the Twin Towers stood and now where the Freedom Tower (1 World Trade Center) stands. It was truly special to see and take in all the emotion right after the game. And it was the perfect way to end an All-American night. Make sure to follow the Staten Island Yankees on Facebook, Instagram, and Twitter!